Wedding invitation suite with invitation sized at 6.75"x6.75". Letterpress, navy ink on Crane lettra paper. Save the Date card is of a little duck swimming in a coupe glass. 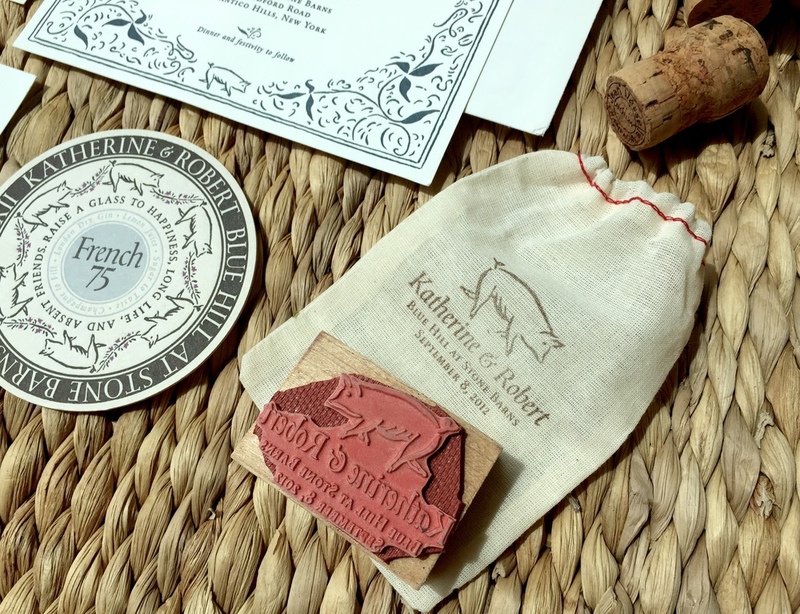 Coaster is the circular letterpress object with the words "French 75"--our wedding cocktail--in the center. Baggie with custom pig-and-text stamp. 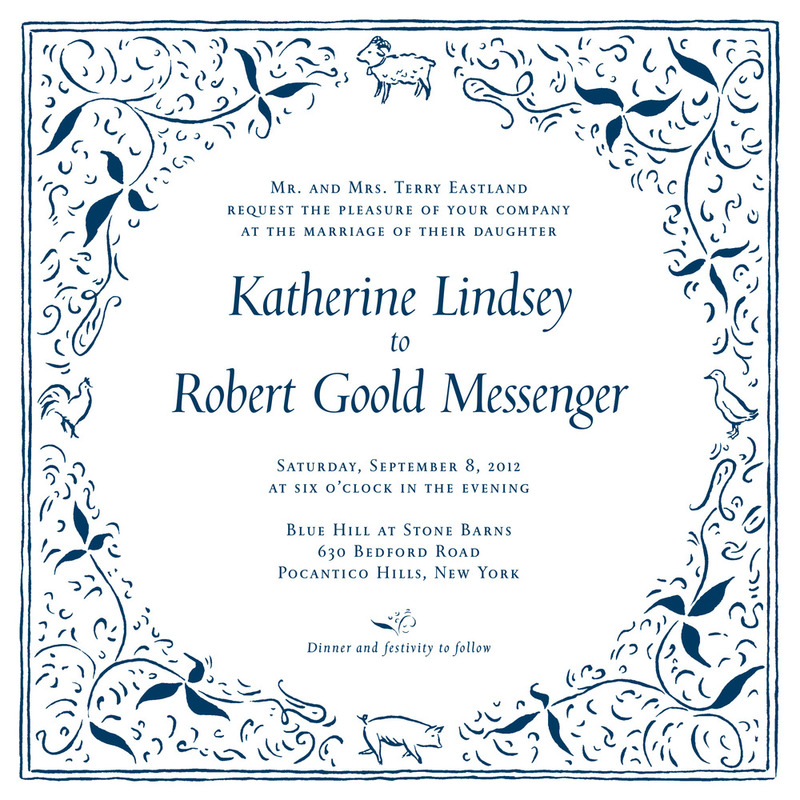 There are four animals on the invite because we were married on a beautiful farm, which has all those animals.